A new cultural icon strode the world stage at the turn of the twenty-first century: the celebrity scientist, as comfortable in Vanity Fair and Vogue as Smithsonian. Declan Fahy profiles eight of these eloquent, controversial, and compelling sellers of science to investigate how they achieved celebrity in the United States and internationally—and explores how their ideas influence our understanding of the world. Declan Fahy is currently lecturer in the School of Communications, Dublin City University, Ireland. Before joining academia, he worked for nearly a decade as a professional reporter and features writer for newspapers including The Irish Times. His recent journalism appears at the Columbia Journalism Review online and The Scientist. A former reporter, Fahy understands how electronic media shape public perception of all aspects of society. This includes science, for which media have created a new breed of scientist, ‘celebrity scientists’ who are in the public eye by dint of popular books, television, and/or newsprint. These individuals are the scientific world’s version of movie stars and star athletes. Fahy considers eight well-known contemporary scientists: Stephen Hawking, who inherited Einstein’s mantle; evolutionist Richard Dawkins, who carries the banner of militant atheism; James Lovelock, the maverick outsider who proposed the Gaia hypothesis; and Neil deGrasse Tyson, who has replaced Carl Sagan as television’s go-to science expert. Others include cosmologist Brian Greene; the Baroness Susan Greenfield, who studies Alzheimer’s disease and Parkinson’s disease; the late evolutionist Stephen Jay Gould, and psychologist Stephen Pinker. This interesting book covers the work and life of each in some depth, and extensive chapter notes direct those who wish to delve more deeply into their lives. Summing Up: Recommended. All readers. When thinking of celebrity culture, science may not be the first thing that comes to mind. 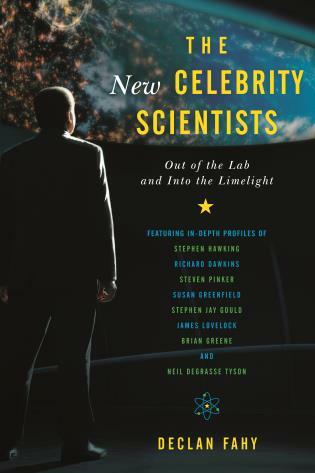 But science and fame go hand in hand in School of Communication professor Declan Fahy’s new book The New Celebrity Scientists: Out of the Lab and into the Limelight. . . .The New Celebrity Scientists works to debunk the myth that science is simply meant to stay in laboratories or for the elite. . . .Fahy delves into the world of science through both a formal and personal lens, bringing the contemporary figures that are driving scientific discussion into the limelight. The result of The New Celebrity Scientists is a in-depth look into how celebrity scientists help determine what it means to be human, the nature of reality, and how to prepare for society's uncertain future. Very timely and well written…. I recommend this book to anyone interested not only in science and its protagonists or communication studies but also in a field that has been little considered but can provide us with many insights into today’s culture: the sociology of science. Relax in your favorite chair and lose yourself in this absorbing, critical examination of the best-selling scientists that we love, admire, and sometimes hate. Fahy's genius book will challenge your strongest assumptions and change the way you think about science, celebrity, and society. 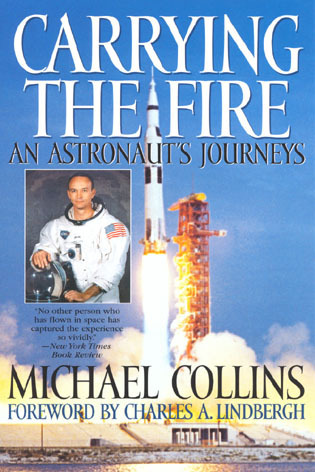 Declan Fahy tells an engaging, informed story about how leading scientists evolved, scrabbled, and maneuvered–under the fierce glare of post-1960’s mass media–to become something new to science: big-time celebrities. In The New Celebrity Scientists, Declan Fahy delves into the complex, captivating world of science by profiling the people who have helped popularize it. His vivid account follows the rise of several key scientific figures of the 20th and 21st centuries—and the consequences of their fame within the scientific community and society at large. Clear, organized, and rich in narrative detail, this book is well-suited for audiences both inside and outside the classroom. At a time when science struggles to grow its share-of-voice in American culture and politics, Fahy provides an evocative look at some of our most visible scientific emissaries. His thoughtful analysis takes us on a journey that demystifies these individuals, laying bare their motivations, foibles, and contributions to science in public culture. Scientific research is often marginalized in modern culture, but a handful of scientists have found a path around that tendency. Fahy shows how, why, and to what effect certain recent scientists have consciously used the tools of today’s celebrity culture to make themselves—and thus science—active participants in public discussion. They make science central to modern culture…and sometimes make culture central to science. 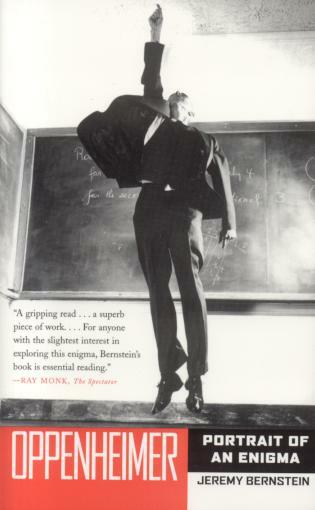 Original: the first book to systematically identify and explore the contemporary concept of scientific celebrity. International resonance: considers eight renowned public scientists from North America and the U.K., individually and collectively, to shed light on the role of celebrity in the broad dissemination of science. Innovative approach: draws on concepts from communication, science and technology, and cultural studies. Accessible and thoughtful: authored by a scholar with nearly a decade of experience as a professional reporter and features writer, the book is an engaging read. Fahy traces the career trajectories of Richard Dawkins, Stephen Hawking, Steven Pinker, Neil deGrasse Tyson, Brian Greene, Stephen Jay Gould, Susan Greenfield, and James Lovelock. He demonstrates how each scientist embraced the power of promotion and popularization to stimulate thinking, impact policy, influence research, drive controversies, and mobilize social movements. He also considers critical claims that they speak beyond their expertise and for personal gain. The result is a fascinating look into how celebrity scientists help determine what it means to be human, the nature of reality, and how to prepare for society’s uncertain future.